Also called Farasha, this is a Simple yet Elegant Kaftan Abaya with contrast borders. It's a perfect choice for those who look for comfort and yet want to be stylish. 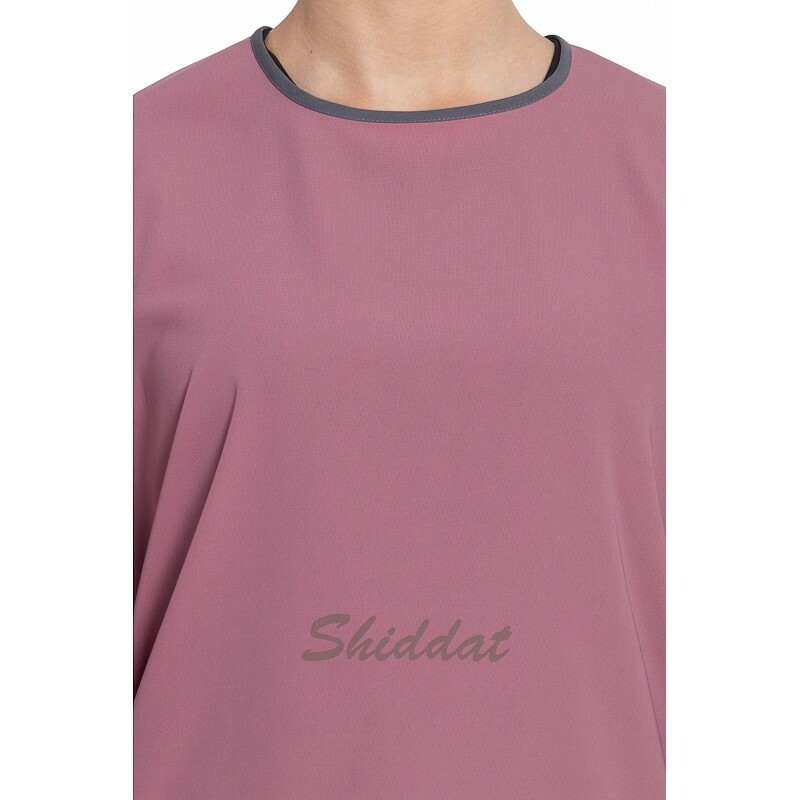 This article is made of Nida (Matte Finish) fabric which is very Soft, Breathable, Light Weight and easy to maintain. It gives a good fall to the garment. Dry cleaning, machine wash or even hand wash can be done to wash this abaya. Length is from high point shoulder to the desired length. Standard length is 56-57 inches for women abaya. This item is without the Hijab worn by the model. Cash on delivery as well as online payment for this Islamic dress in Black and White color is available. Also free shipping to any part of India.